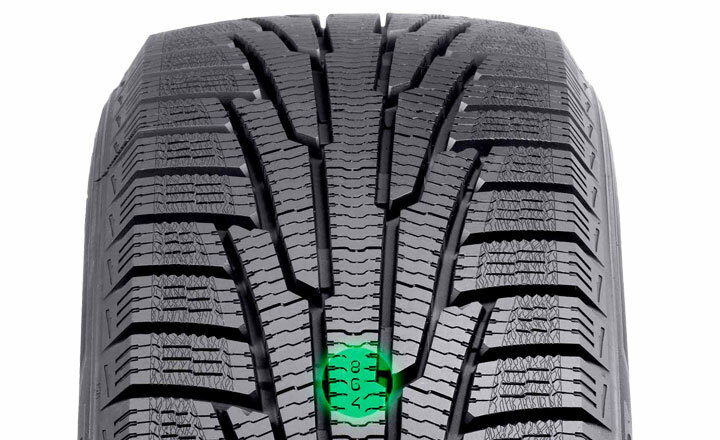 The driving safety indicator on the centre rib of the tyre indicates groove depth. The numbers stamped on the tread show the remaining groove depth in millimetres. The numbers fade one at the time as the tyre wears down.